Restricted to 5 item(s) only. These beautiful ring cushions are an integral part of a bridal party. They are beautifully made with satin and decorated with an organza patterned edge ribbon and a 3mm satin ribbon to tie the rings onto the pillow. 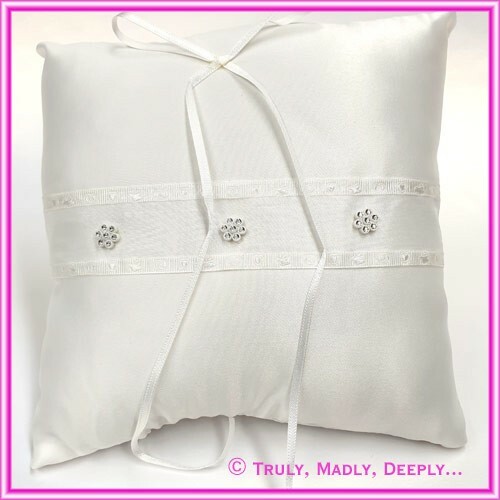 To finish off this elegant cushion they have used 3 stunning diamante flowers in the centre. Ring pillow measures approx. 19x19cm. Thankyou so much for your quick delivery, i recieved them today and are really happy with the products.